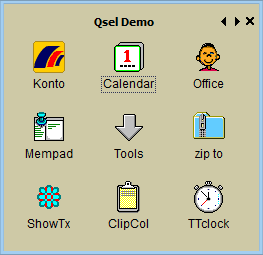 Qsel is a "launcher" for frequently used programs, documents and web links. 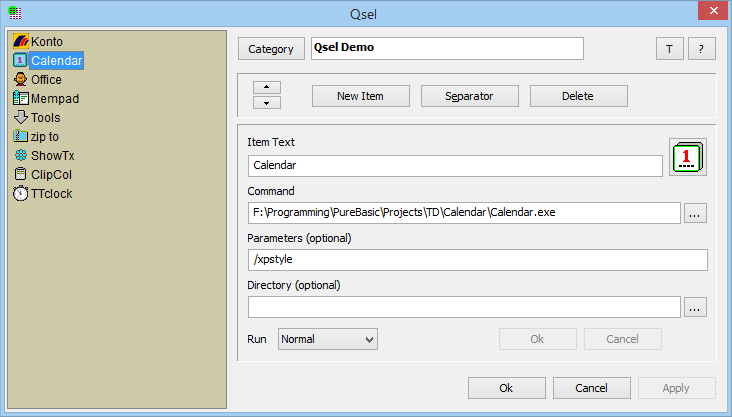 Configuration data are stored in the Qsel directory (default) or in a separate directory (for experienced users). Settings are stored in an INI file (no Registry entries).